Whether you need to create new patterns of behavior, or just need to refine your skills, I'm available to help you get through the rough times. With couples counseling and marriage or family therapy in my Denver office, we will work together to develop positive relationship skills. A better life is possible for every member of your family. I graduated with a Master's Degree in Counseling Psychology with a Marriage and Family Therapy emphasis from the University of Colorado, Denver in 2001. I am a solution-focused counselor, which means I help clients set goals for their relationships and help them identify tangible steps toward reaching those goals. I use a lot of the relationship research education of relationship expert Dr. John Gottman, author of books including "The Seven Principles for Making Marriage Work" and "The Relationship Cure:A Five Step Guide to Strengthening Your Marriage, Family, and Friendships." I also have found great value in the emotionally focused work of Dr. Sue Johnson and her book, "Hold Me Tight" as well as Gary Chapman's, "The Five Love Languages." I have helped couples in a variety of situations find more peace, happiness and fulfillment through counseling and education. When you come to me for marriage and family counseling, we will work together to find solutions. We will look at the patterns of communication you were taught from your families of origin and how they lead you toward success or failure in your current relationships. I look at our time together as a co-creation of what you want to achieve in therapy, which depends upon what you bring in to each session. We focus on what you want to achieve. 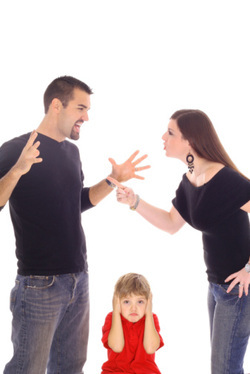 I don't have a "one size fits all" approach to family and couples counseling. Instead, I listen carefully to what each couple brings to the table during each session. Through hearing what is important to each party, I help you them get where you want to go, regardless of tool or technique. I believe that regardless of your situation, you can move beyond problems. We can find awareness that can lead to action and resiliency. Rather than putting the focus on analysis of your issues, I will help you find your own wisdom. You can reengage with your life, start in a new and fulfilling direction and find renewed romance with your partner. We want to help you create a happy, meaningful life. If you're interested in learning more, we invite you to give our Denver, Colorado, office a call. All your information will be kept confidential. Our office, located in the heart of Cherry Creek, can be reached for a free telephone consultation at 303-388-9749.